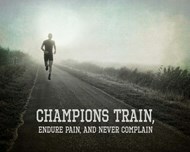 Track may not be one of the more famous sports compared to Baseball or Basketball, but its ability for a team to work together matches the others - and its ability to provide inspiration to an individual is also stellar. 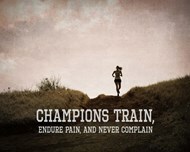 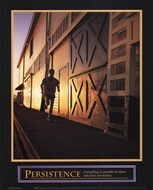 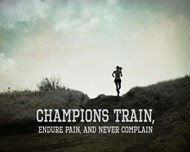 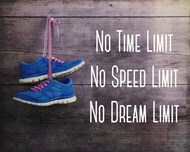 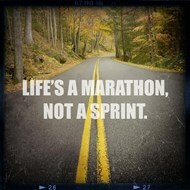 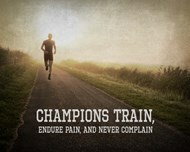 These motivational running posters often have the same look as normal motivational posters - a picture centered in the middle of the poster, a black border, a phrase below; and the picture used is often one to do with running. 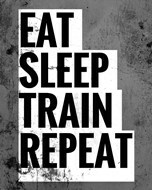 Sometimes it's a team working along the circuit at a track competition, other times it's one individual powered by persistence to keep on going even when exhausting rears its head. 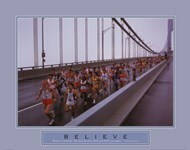 Photographs of runners can provide like inspiration to people who already run themselves, or to those who need an extra boost to get their feet pounding the concrete below - a long line of those running a marathon is certainly something that should be aspired to by anyone looking for that kind of inspiration. 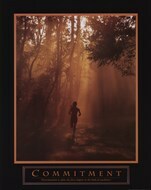 When placing these posters, the content has to be taken into mind - the photograph is always an active thing, with people running, or passing on batons, or sprinting, or leaping over hurdles; the motivational running posters will fit best next to other posters of activity, rather than next to something serene or calm. Using these posters can help to compliment your own style, to encourage those who visit the space where the posters are, or to inspire yourself to leap over all hurdles even when all looks to be too much.